Castles are the most popular examples of Gothic architecture, but this style can also be applied to homes. This type of architecture dates back to Medieval times, when people went to great lengths to make their dwellings seem light and airy. Soaring heights. Gothic buildings reach great heights, thanks to architectural features, such as flying buttresses, that help support higher walls and ceilings. In Medieval times, these buildings towered over other structures. Ornate design. Gothic buildings are admired for their intricate designs and ornate details, which contrasted sharply with the plainer designs of most other Medieval buildings. This type of architecture focuses on making buildings aesthetically appealing, as well as functional. Light, open interior. The interiors of Gothic buildings are designed to be airy and allow in a lot of natural light through large, ornate windows. They feature lofty ceilings and an emphasis on open space instead of closed-off rooms. Pointed arches. Pointed arches are visually appealing and provide a functional purpose as well. They help distribute the weight of ceilings better than other structures, such as pillars. Vaulted ceilings. Gothic buildings feature vaulted ceilings in a variety of sizes and shapes. These ceilings provide added elegance and height to rooms, making them seem even more airy and ornate. 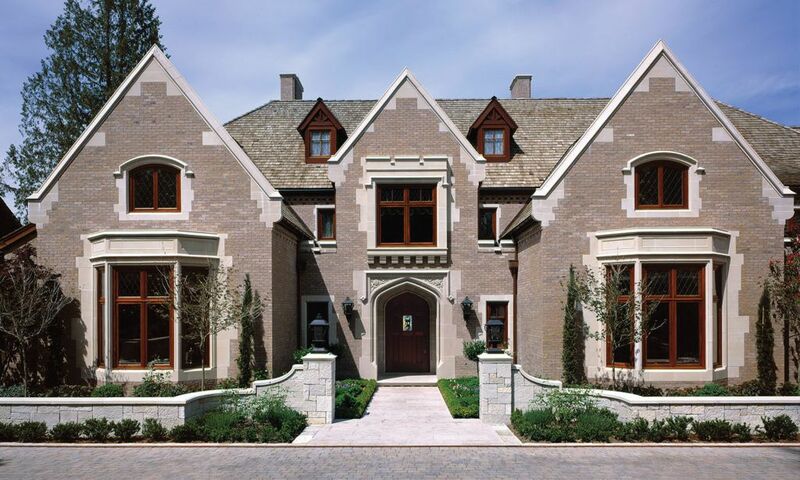 Our completed projects include a Lakefront Gothic stone estate on Lake Washington. The home showcases several features of European Gothic architecture. You can view images from our Lakefront Gothic project on our online portfolio. Interested in discussing plans for a Gothic-style home? Contact Gelotte Hommas to make an appointment.